They’ve been wed for over four years, but the romance is still very much alive for Evan Ross and Ashlee Simpson. Their connection also translates to a successful professional relationship. Both singers, the duo has an E! 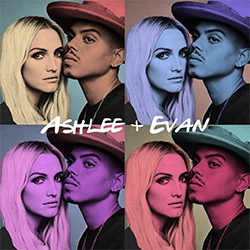 reality series, Ashlee and Evan, that documents their personal lives and showcases music of their debut joint album, due out this fall. Ross says a healthy respect for each other helps when it comes to collaborating (two singles off the album, “I Do” and “Paris,” are currently available on iTunes and climbing the charts). Ashlee and Evan airs Sundays (10 p.m. ET) on E!